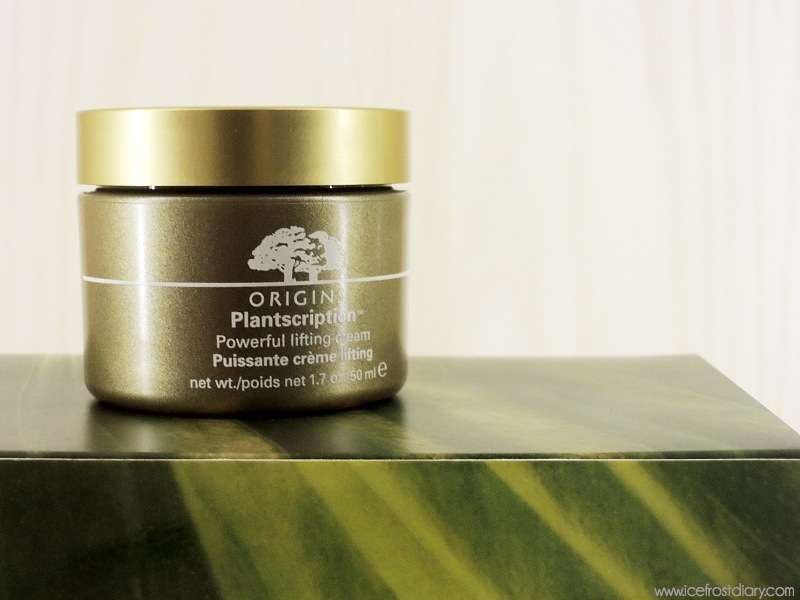 Just one year ago, I went for the launch of Origns Plantscription Anti-Aging cream and now Origins has another product in the Plantscription range up for grabs! Time, sun, pollution, stress, good fortune and bad. That’s what wrinkles are made of. 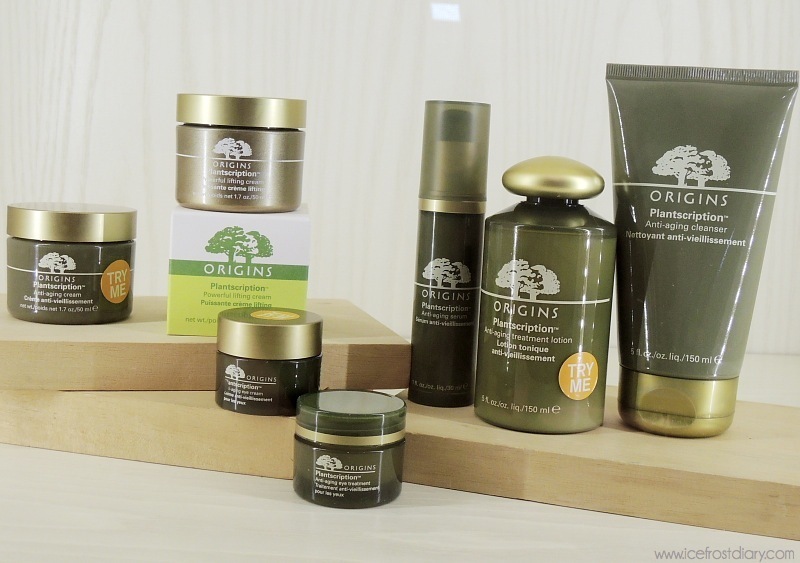 Although they’re not prescriptions, in just 4 weeks, the Origins Plantscription range with Anogeissus will noticeably help improve a lifetime of laugh lines, birthdays and basking in the sun. Youthful bounce is renewed. And with continued use, results improve. A slackening of facial contours and the appearance of sagging skin are a common consequence of ageing, as over time skin naturally produces less collagen and elastin, which are essential to maintaining firmness, elasticity and pliability. 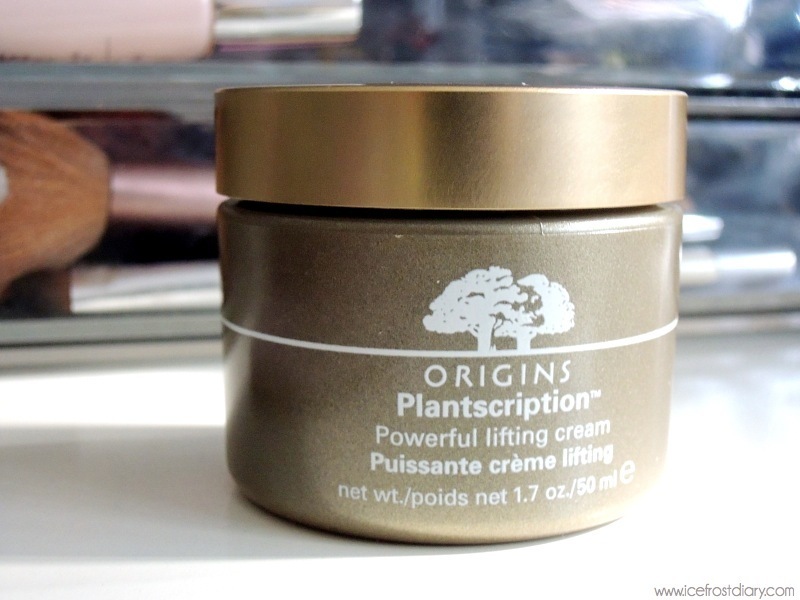 Introducing the new Origins Plantscription Powerful Lifting Cream, to tackle the aging problems! 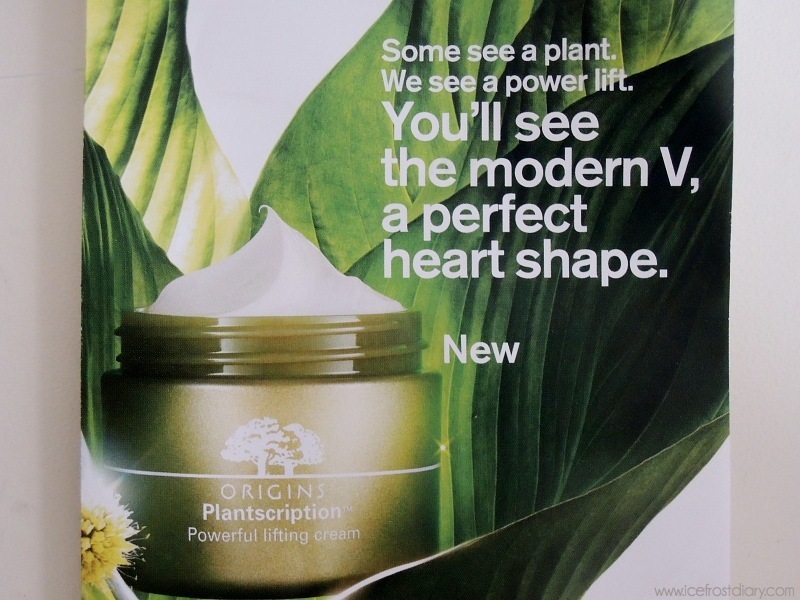 Plantscription Powerful Lifting Cream is a high-performing, plant-powered formula that works deep within the skin’s surface to help visibly lift and re-volumise skin, ultimately restoring youthful facial definition. 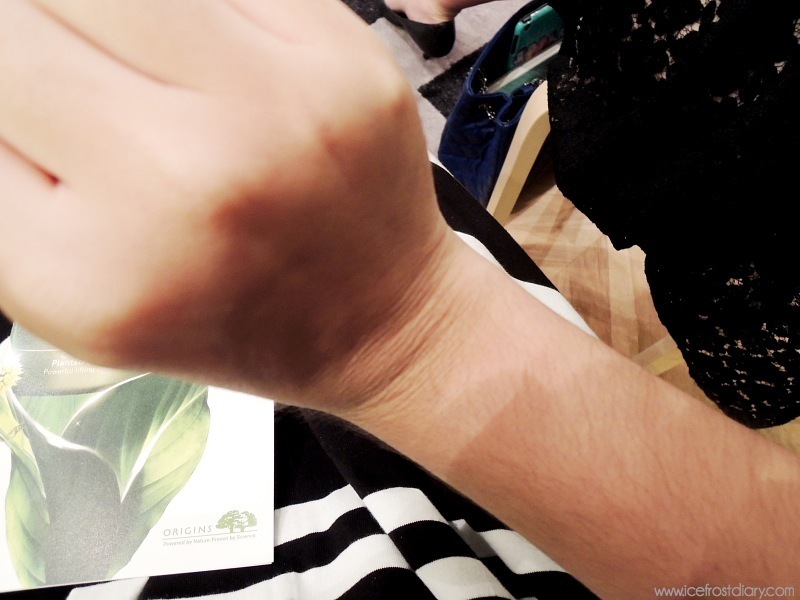 From this swatch, you can see that the cream is thick and it is made up of shea butter (which helps in moisturizing) as well as Anogeissus – the powerful ingredient behind Plantscription of which the local tribes have harvested the trees leaves and barks to use as a natural wound healer. 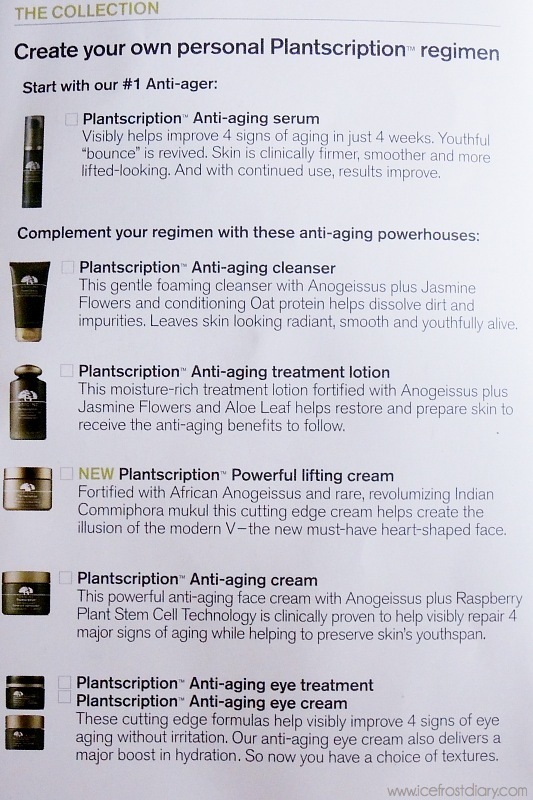 Origins combined the Anogeissus with raspberry plant stem cells, which help to stimulate cellular repair and regeneration. Additionally, the amazing benefits of African Anogeissus are blended with rare, revolmizing Indian Commiphora complex long used in traditional Ayuvedic medicine. Origins Indian Commiphora helps increase skin’s natural production of Hyaluronic Acid, a major component of firm, smooth and plum skin. 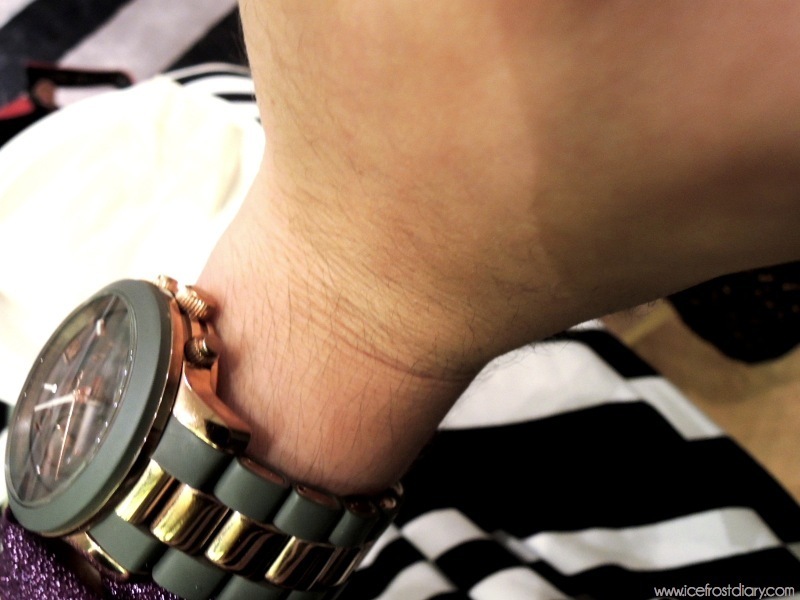 As a test, I have applied the cream on the crease of my hand joint where a lot of fine lines are spotted. 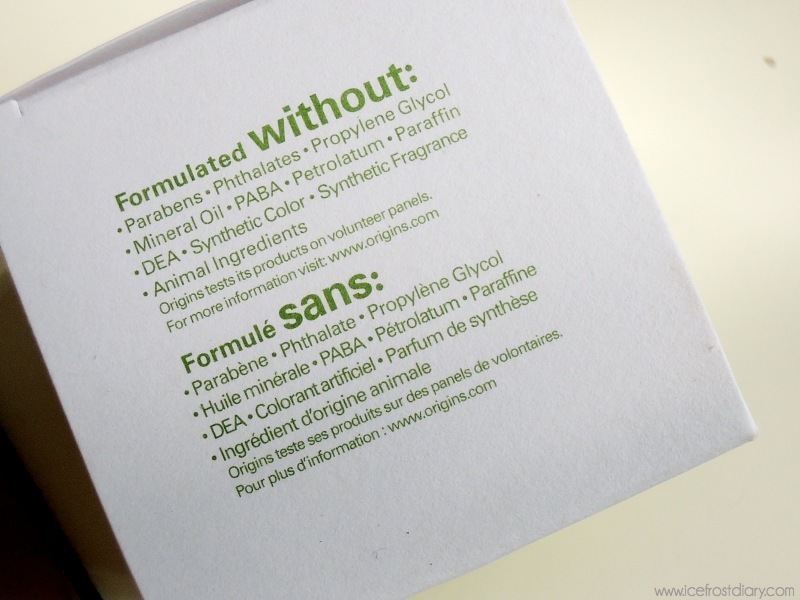 After application, you can tell that there is a significant reduction in the appearance of fine lines. 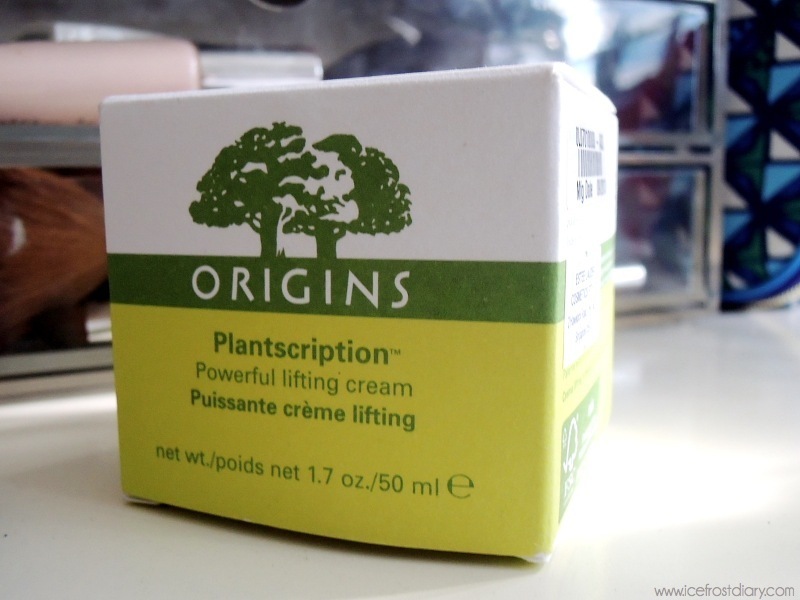 Perhaps I should use this lifting cream as my hand cream as well! Seeing is believing. 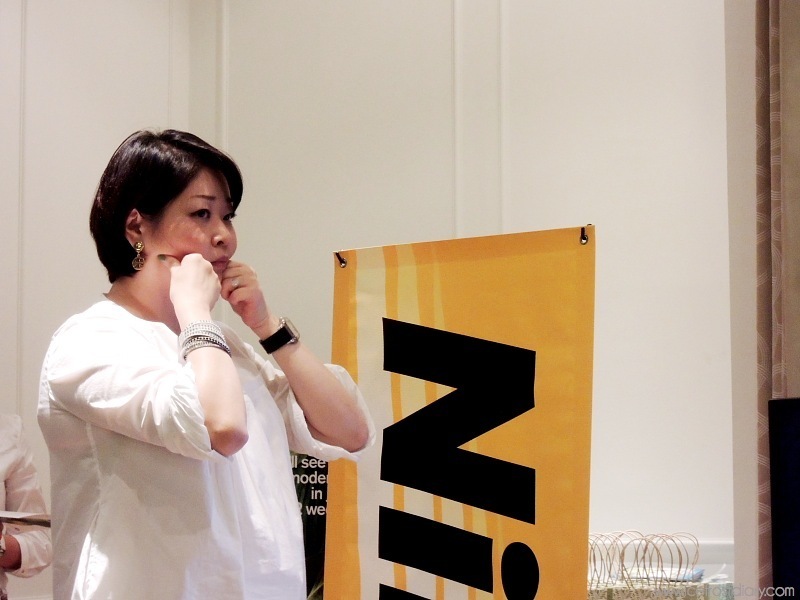 Now, the correct way to use the lifting cream is to always go against the gravity. Everything has to be up! For the V shape jawline, we need to massage our jaws upwards to circulate your lymphatic fluid, reducing water retention. Origins claim that this jar of gold is able to visibly lift and re-contour your skin in just 2 weeks! 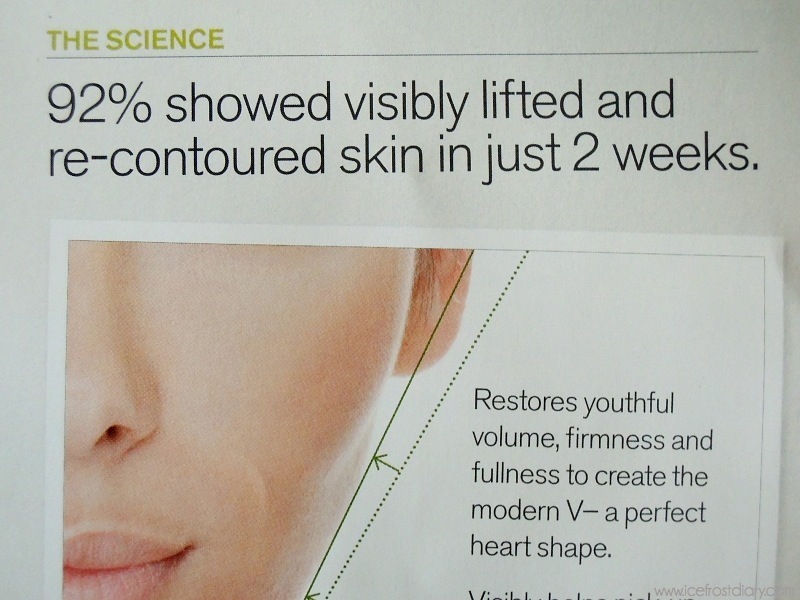 92% showed visibly lifted, re-contoured skin in just 2 weeks. This cutting-edge cream visibly helps pick up sagging contours, softens marionette lines around the mouth and restores youthful volume and firmness. All as it infuses skin with age-correcting moisture. 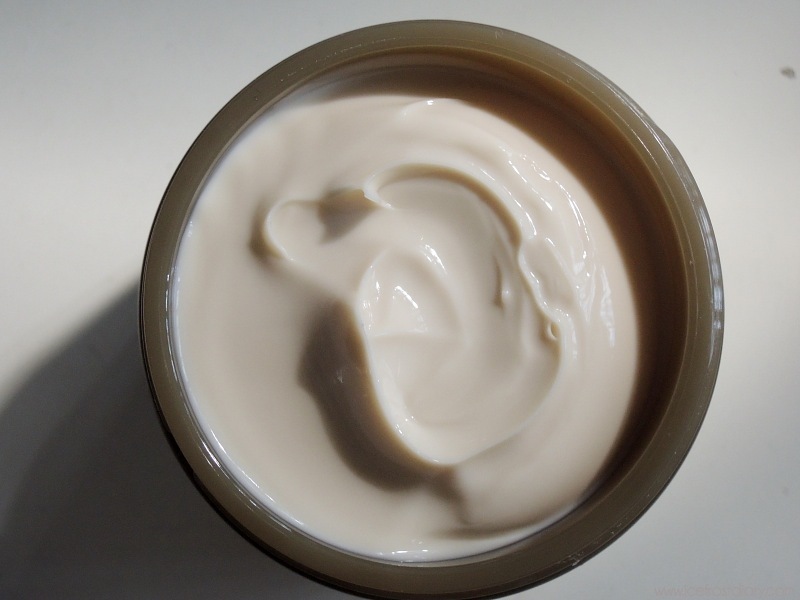 The cream, which is designed for day and night time usage. Because of the rich texture, it is recommended that people with oily skin to use this for only twice per week. 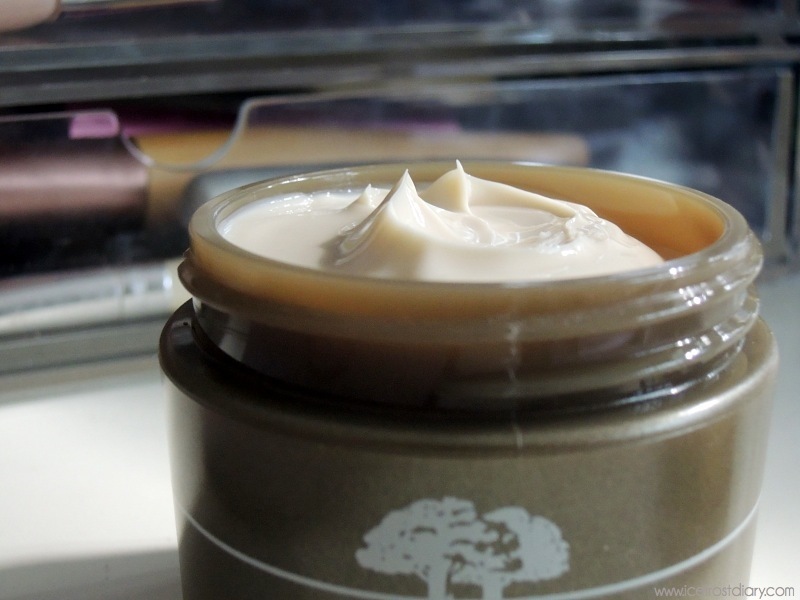 Folks with dryer skin can afford to use this rich cream daily.